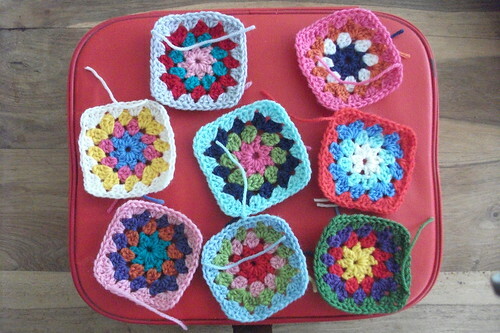 yes who can beat it, flowers and crochet, are cheering my life up at the moment! what with all this rain, I think they are really needed. Well we live in hope of the summer happening, again, after our brief encounters with it last month. 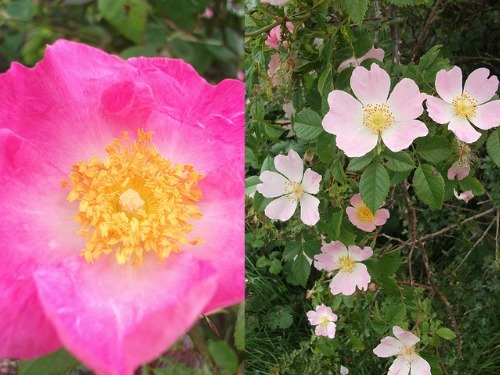 I am especially enjoying the rambling rose on the common. The grass is so long there now it is like one giant meadow to walk through. The cows are enjoying it too. During certain months of the year it is free land and the farmers allow their cows to roam. It's always entertaining when they decide to cross the road, on mass! .....well this week, life at my little red suitcase has found me visiting a new school as a possibilty for my son, who has spent the last year at home. oh boy, fingers crossed he will come back and visit it with me next week! He is 13 and found the first year of secondary school pretty difficult. This school is a drive away, but smaller, only 400, as opposed to 1500! at our local comprehensive. 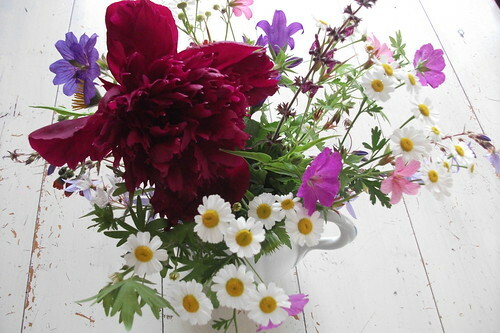 hope the week goes well for you and the sun pops out to say hello, otherwise it's more muddy boots and a wet dog! 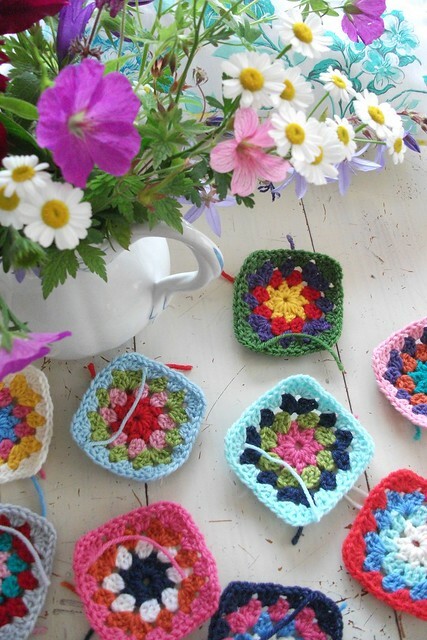 Lovely flowers and crochet work! thanks Annette, it's actually a painted wooden table I flung some paint on at some point! its a great place to take photos. I would actually love a white painted wooden floor, that is definitely on my wish list! love the scandi look. one day....!